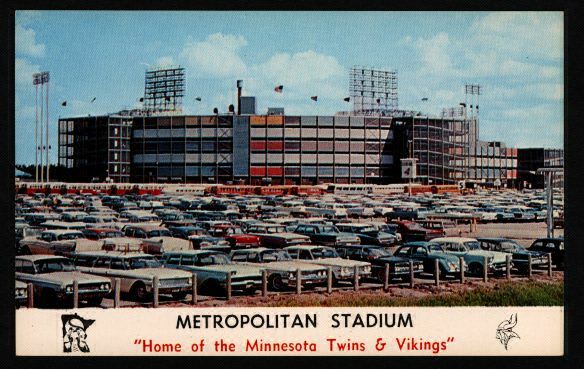 Located about 11 miles from downtown Minneapolis, Metropolitan Stadium was the home of the Minnesota Twins for 20 seasons. 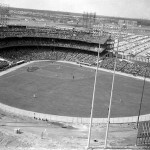 The history of the stadium dates to the early 1950s when city officials began searching for a site to construct a stadium in hopes of luring a Major League Baseball franchise. 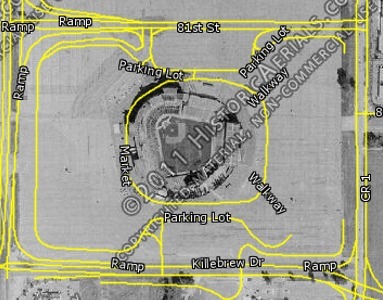 In 1955 a 160 acre parcel of land in Bloomington, MN was purchased for $458,000 to construct a stadium on. Construction began on June 20, 1955 and was completed in just under a year. 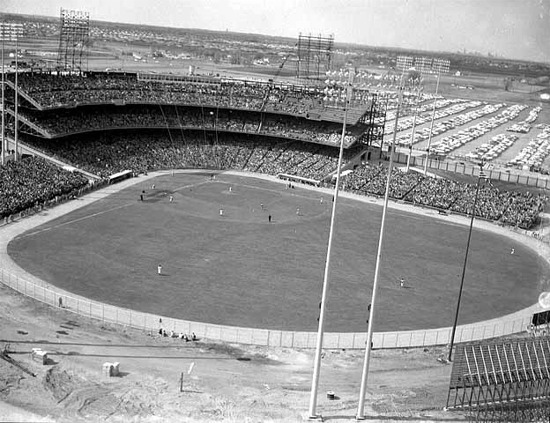 Although the city had yet to lure a MLB franchise, Metropolitan Stadium became home of the Minneapolis Millers, a minor league franchise that had played in the city for over seven decades. 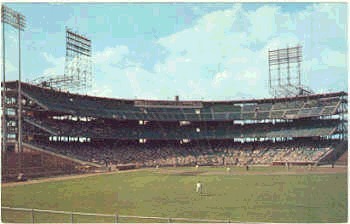 They played their first game here on April 24, 1956. 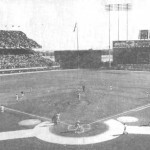 The stadium originally had a seating capacity of 18,200 that included a towering three tier grandstand that extended from behind homeplate to the first and third base dugouts. 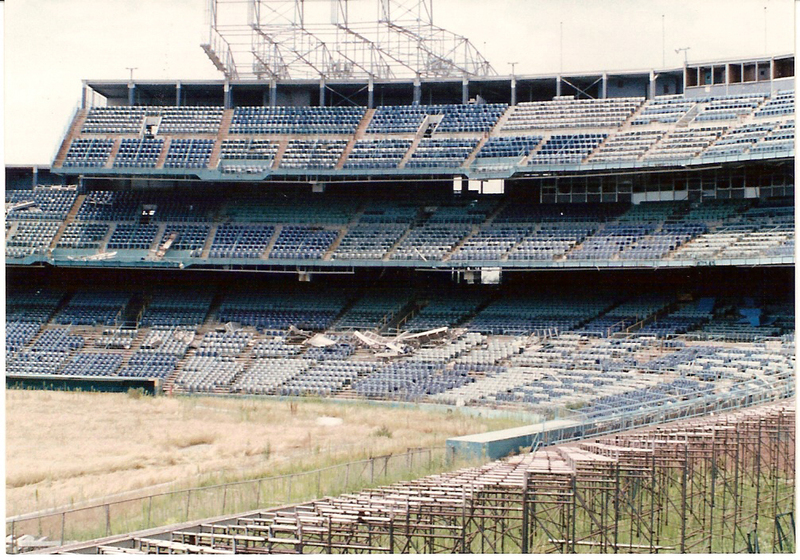 The press box was at the top of the upper deck and huge lights stood above the rim of the upper deck. 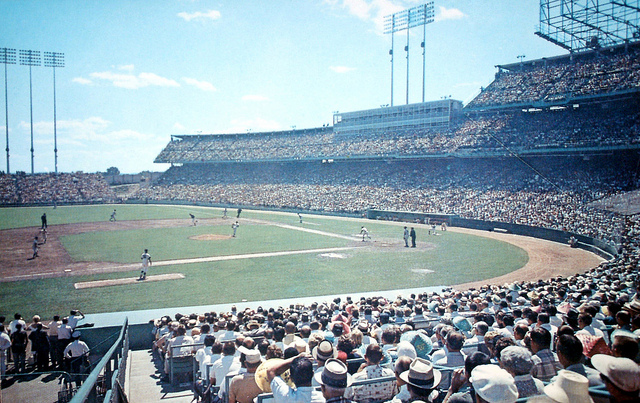 Not connected to the lower level of seating, additional seats extended down both the first and third base lines. 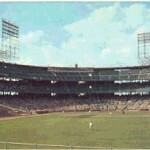 In 1957 the seating capacity was increased to 21,000 as the city continued to try to lure a professional baseball team to the region. 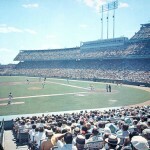 Throughout the late 1950s several MLB baseball games were played at Metropolitan Stadium. 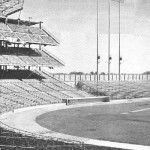 In 1958 owner of the Washington Senators, Calvin Griffith, brought his team to Metropolitan Stadium to play and called the stadium one of the finest in baseball. 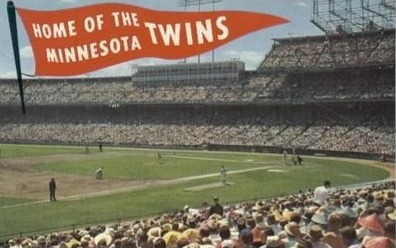 For the next two years the city began to court Griffith to move the Senators to Minneapolis. 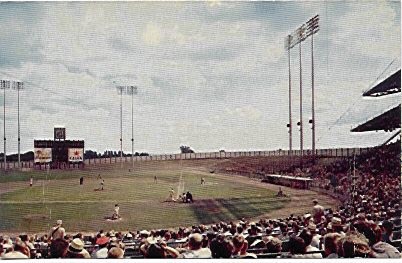 With sluggish attendance and an aging Griffith Stadium, Calvin Griffith agreed to move the Senators to Minneapolis after the 1960 season, becoming the Minnesota Twins. 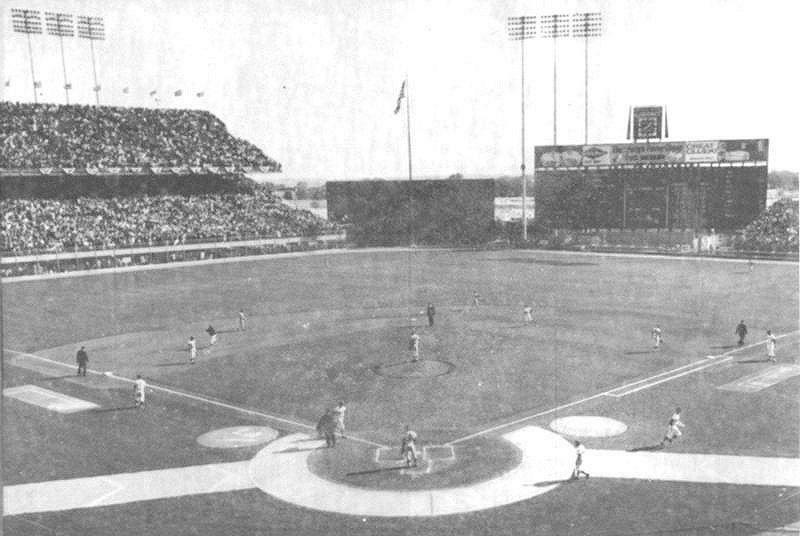 On April 21, 1961 the Twins played their first game at Metropolitan Stadium against the Washington Senators (an expansion franchise). 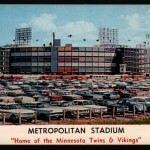 Not only did Metropolitan Stadium become the home to a professional baseball franchise in 1961, but a professional football franchise, the Minnesota Vikings. Seven A.L. batting titles by Rod Carew. 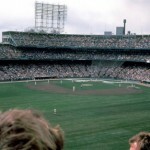 Harmon Killebrew’s 500th homerun on August 10, 1971. 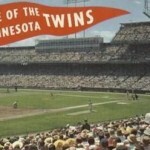 520 ft. homerun by Harmon Killebrew on June 3, 1967. MVP shortstop Zoilo Versalles in 1965. 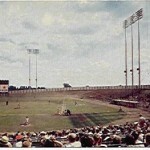 In 1962 the first of a couple of expansions occurred at Metropolitan Stadium when the second deck along the first base side was extended to the right field foul pole. 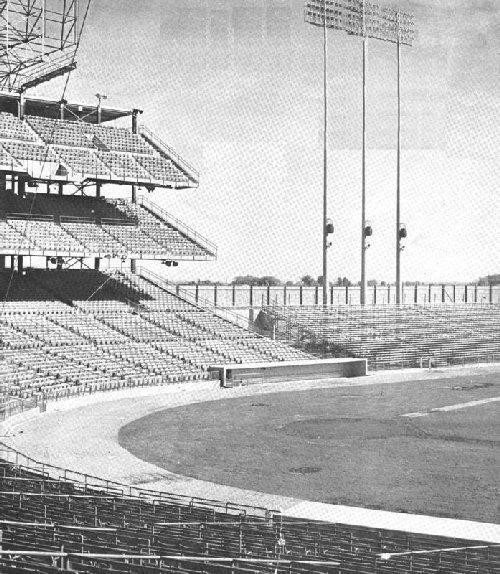 In 1965, in exchange for a reduction in rent, the Vikings financed and built a double decked grandstand in left field increasing the seating capacity to just under 48,000. 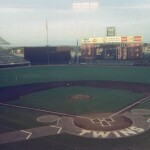 The transition from baseball to football at the facility was fairly simple as the gridiron was in the middle of the baseball field, running from the third base line to the outfield in right-center field. 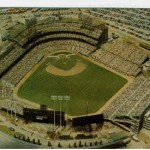 Metropolitan Stadium changed little until it closed. 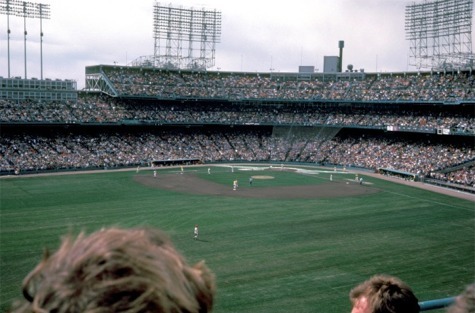 In addition to the double deck grandstand in left field, there were bleachers in right field where the scoreboard was located and a large section of bleachers from third base to the left field foul pole. 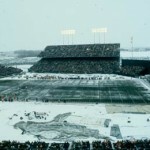 In the 1970s the Vikings began to explore moving to another city due to the small capacity of Metropolitan Stadium and the lack of quality football seats. 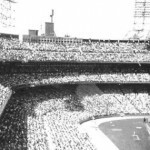 At one time there were talks of adding a dome to the stadium and increasing the seating capacity to 60,000, but these plans never materialized. 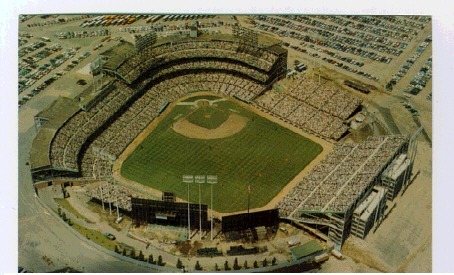 By the late 1970s Metropolitan Stadium was falling into disrepair and a new stadium was needed to keep the Vikings and Twins in Minneapolis. 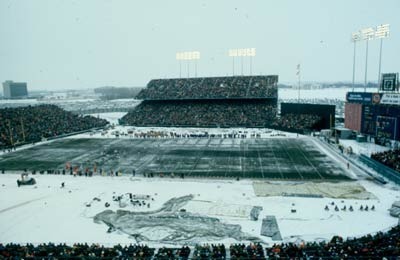 A new dome multipurpose stadium, the Metrodome, was constructed in downtown Minneapolis and opened in 1982. 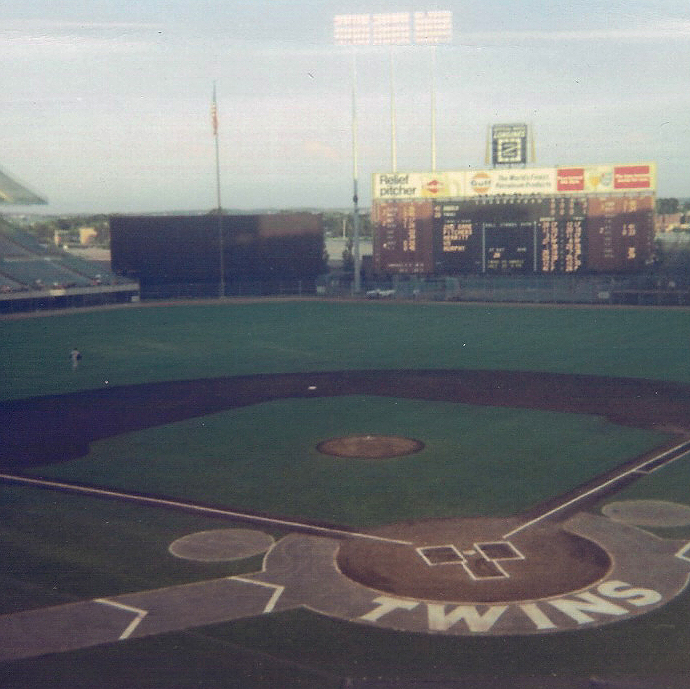 The Minnesota Twins last game at Metropolitan Stadium was on September 30, 1981. 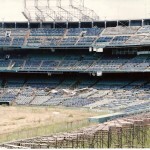 For several years the stadium sat empty before being demolished in January 1985. The site was redeveloped and is now the location of the Mall of America. Inside the mall, a plaque marks the location of homeplate and a red chair bolted along a wall marks Harmon Killebrew’s 520 foot homerun in 1967.